Firefighters battled two fires in San Jose Saturday. The first broke out around 11:35 a.m. in a shed behind an East San Jose home on the 100 block of Melrose Avenue, according to a fire dispatcher. Firefighters were able to knock down the fire after being on scene for about 30 minutes, the dispatcher said, adding that no injuries were reported. 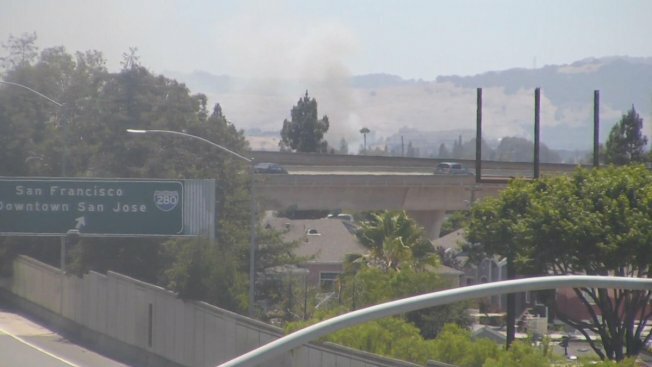 Crews also put out a two-tier brush fire that created a lot of smoke around 1 p.m. near Capitol Expressway by the Los Lagos Golf Course, officials said.